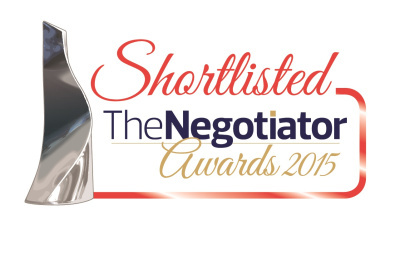 David Lee are delighted to announce that they are finalists in two categories at the Negotiator Awards 2015, the UK’s premier awards for the estate agency industry. The categories in which David Lee are finalists are East of England Agency of the Year and Small Estate Agency of the Year. The 2015 entry list was the biggest in the history of the Awards and so competition was keener than ever. Lee O’Brien, Director of David Lee commented ‘We are thrilled to have been shortlisted for these two awards. 2015 is shaping up to be a record-breaking year for us, and this kind of recognition just adds to the sense of achievement our team feels. We look forward to hearing the results in November’. The winners and runners up will be announced at a gala dinner hosted by comedian and impressionist Alistair McGowan, on 3rd November at the London Hilton Park Lane.